Guns N' Roses in Montreal or Quebec City? Inform me about the next events for Guns N' Roses. Enroll yourself to our priority waiting list for Guns N' Roses to be alerted when new tickets are available. Filling this form doesn't engage you to any purchase. 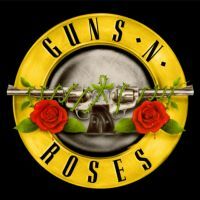 It's confirmed : Guns N' Roses will be coming back to Montreal on August 19th, 2017 ! The Not In This Lifetime Tour will be stopping by Parc Jean-Drapeau for a memorable night ! Guns N' Roses is back at it ! Lead singer Axl Rose and guitarist Slash hadn't shared the stage in over 15 years, when they made their comeback at the Coachella Music Festival in April of 2016. A concert is also planned for the TD Place in Ottawa on August 21st, 2017. Don't miss their glorious return to Montreal and Ottawa this summer !